What does it take to clean your home well enough? Addressing all the different aspects of home cleaning is definitely not easy. You need to pay attention at the state your home is in regularly, or else it will become a mess. That is hardly ideal, considering how much time you spend in your home and how important it is for the environment there to foster good health and wellbeing. Sadly, cleaning is not as easy as you’d like it. There are many different chores you need to deal with, and a good portion of them are somewhat problematic. You have to learn how to overcome the obstacles associated with cleaning and thus improve your home a great deal. You lack motivation – more often than not, you approach cleaning your home without any eagerness whatsoever. It feels like a burden, and so you just want it to be over as soon as possible. To feel more motivated to clean, you need to remind yourself of the benefits. Without proper cleaning, your home will develop harmful bacteria and germs, which can affect your health. Additionally, it will lose its charm and visual appeal. You should also try to make the cleaning process fun. Whether it be by putting some music on, or by joining forces with your children, there are many ways to boost the appeal of cleaning and make you feel less intimidated by it. You have no time – one common problem with cleaning is that it often takes more time, which you just don’t have. 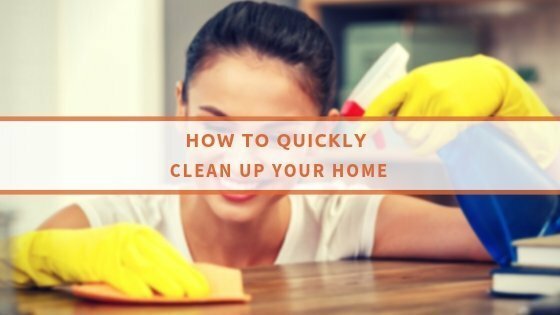 Granted, there are other things you need to take care of, you can still make it easier to clean without feeling pressured by time. One way to do this is to establish a cleaning schedule, which revolves around your other activities. Also, you can enlist some help to help you get around cleaning easier. You don’t know how to address certain chores – this one is rather easy to solve, considering one quick search on the Internet will grant you all the information you need. You will find working methods and solutions, among them many DIY recipes with ingredients found in every home. 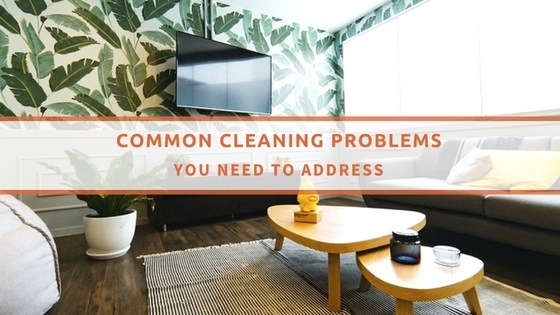 Test them out and see just how easier it is to address cleaning. You lack the gear – there are some purchases you must make to better handle all home cleaning chores. Apparently, you cannot do any vacuum cleaning without a decent vacuum cleaner. A good quality mop to address floor cleaning and spills is also a must. Determine your needs and acquire the cleaning gear to overcome any cleaning challenge. You are tired – it is only normal to feel overwhelmed by cleaning. It is a tough physical exercise, which takes quite a lot of energy. The way to overcome this is to clean in small bursts, rather than do a marathon. You can also turn to cleaning services to help you out. Now that you know how to overcome the most common cleaning problems, you are much closer to keeping your home in a clean and fresh state.